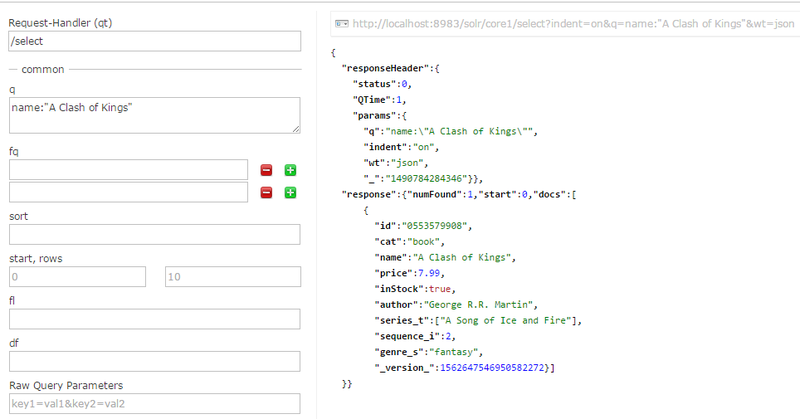 By now, we have indexed sample data of books.csv that comes with Solr. Lets see how to run Search Query in books data. 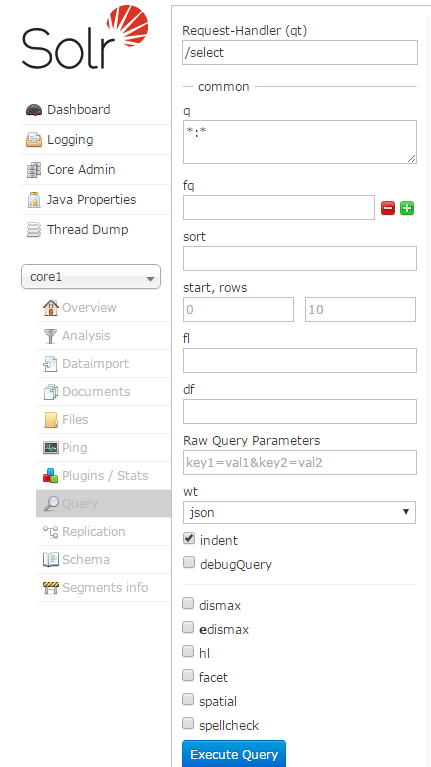 To run search query on core1, choose the query link at left menu, you would a query builder UI, as below. Admin UI, see Figure 2, provides user friendly way to build search query. Solr Admin passes all specified parameters to Solr API and shows the results return by the API on right section of the page. 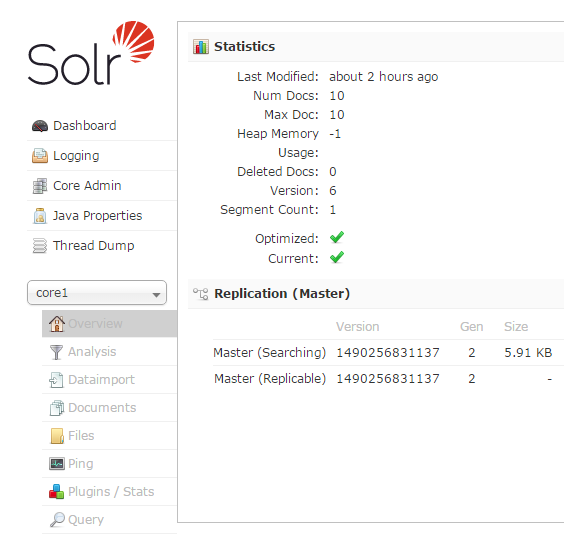 Solr Admin Query component is good tool to test search queries before we integrate them in our applications. If you leave all options to their default values and click "Execute Query" button, Solr would return the below JSON. You see, its same data that our books.csv files contain. On top of above results page, Admin UI also display Solr API URL with parameters that was passed to server. Learning how different parameters are passed to Solr instance is first step to understanding how we can integrate queries into our applications. q parameter is used to define condition that must be fulfilled to include a document into query result. For example if we enter price:5.99 in q field. It would return books where price field is equal to 5.99. In same way, if we enter name:"A Clash of Kings", the books with name "A Clash of Kings" would be return only. See result below, with the query specified.